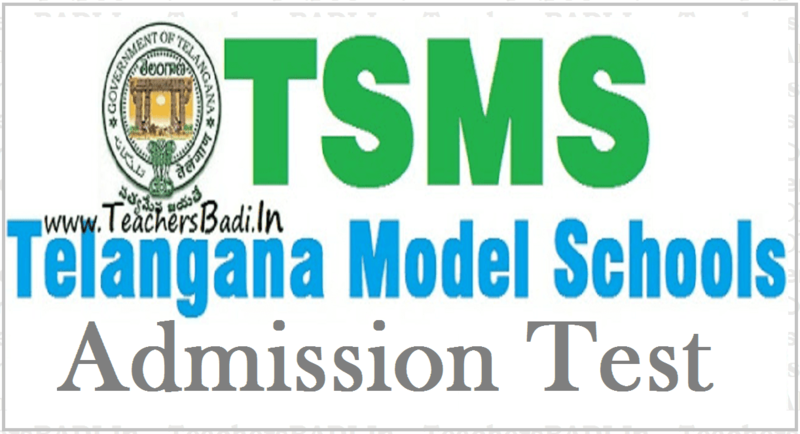 Sub: Telangana State Model Schools - Admission Test for Admission into VI Class in Telangana State Model Schools for the Academic year 2019-2020 and also for left over seats in classes VII to X - Instructions to give wide publicity - Reg. While enclosing the press note schedule for Admission Test for Admission asinto VI Class for the Academic year 2019-2020 and for left over seats from classes VII to X -all the Principals of Model Schools are instructed to give wide publicity in local news papers and through pamphlets. The Principals are also further instructed to visit the primary schools in the vicinity of their Model Schools and to appraise the importance in studying· Model Schools (i.e. Free quality education by highly qualified teachers in English medium, free text books, free uniforms, Mid Day Meals, hostel for Girl students, pucca buildings, laboratories, computer labs and library room) and see that all the V Class students appear for the Admission Test. All the Principals are instructed to take help of MEOs concerned and also their staff in this regard. Day to day enrolment particulars from ......01.2019 onwards through email are to be sent without fail. There should be much competitions for the Admission Test at least in the ratio of 1:3. 8 Date of commencement of classes As scheduled by Govt. As scheduled by Govt.